Fox Tea Club has provided me with Orange Cookie for the purposes of providing an honest review. I was intrigued by the idea of a tea named “Orange Cookie” mostly because I really like cookies. This black tea blend came to me in a sample packet from Fox Tea Club. I ripped opened the packaging and could smell the orange right away. The citrus aroma is rich and deep. 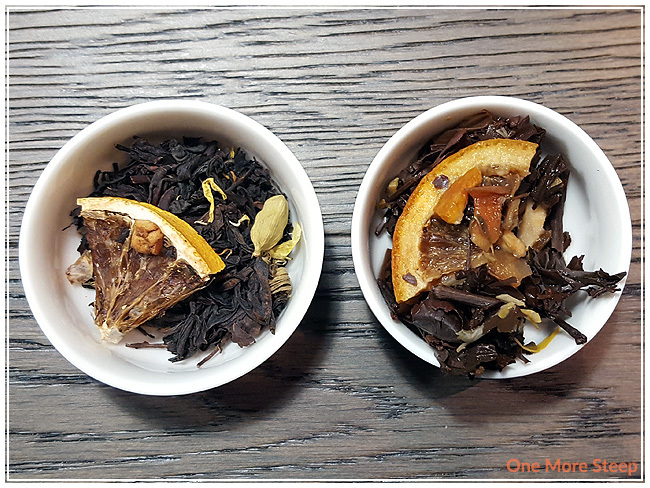 There’s a mixture of spices in this black tea blend that mingle well with the black tea base – I can definitely make out the cinnamon in this mix and I can see the cardamom. The listed ingredients at the time of writing are: black tea and orange. The description of the tea on the Fox Tea Club includes the mention of cinnamon and cloves, but they’re not mentioned in the ingredients list. Fox Tea Club recommends steeping Orange Cookie at 205°F (96°C) for 3 to 5 minutes, and suggests that the tea can be steeped twice. My initial steep of Orange Cookie was for 4 minutes. Orange Cookie steeps to a beautiful golden orange colour. The smell that wafts up from the steeped tea is primarily that of the spices. I can smell the cinnamon and the cloves, and the gentle hint of the orange. On first sip, I found the black tea base to be strong with a hint of astringency. I found that the orange fragrance of the dry leaf to translate well in the steeped tea. It’s light and adds a hint of refreshing citrus flavour to the steeped tea. 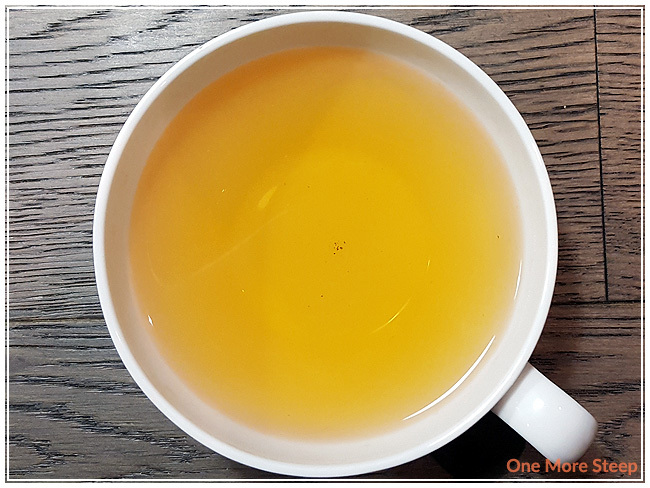 I added a touch of honey to the cup and found that the sweetness helped to boost the citrus flavour in this tea and made it taste more like orange. As Fox Tea Club had suggested that this tea could be steeped twice, that meant I had to try a total of three steeps. 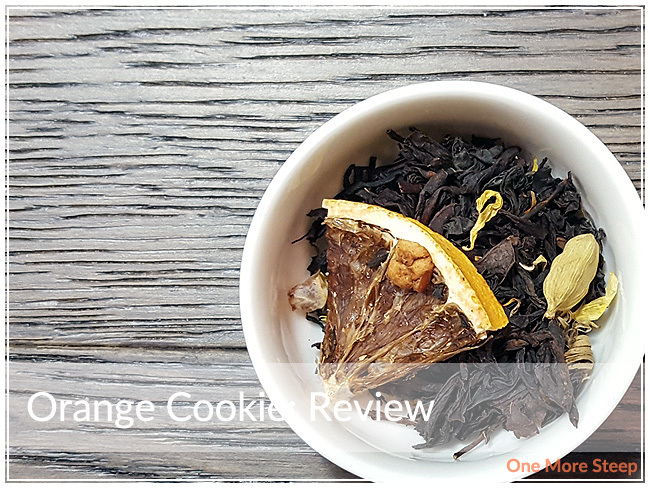 The first resteep of Orange Cookie tasted quite a lot like the initial steep – the black tea based was more pronounced with the spices playing less of a strong role in the flavour profile. The amount of citrus I found to be similar to the initial steep. For the second resteep, I found that it was mostly the black tea in the flavour of the tea blend and the spices were all by forgotten. I agree with Fox Tea Club’s suggestion of two steeps for Orange Cookie. 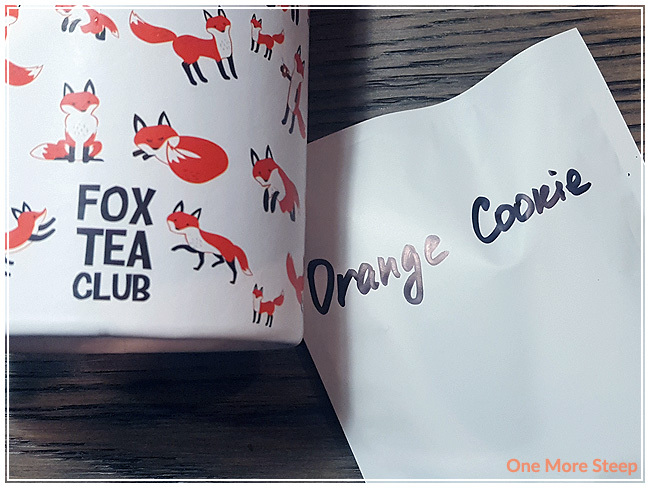 I liked Fox Tea Club’s Orange Cookie. 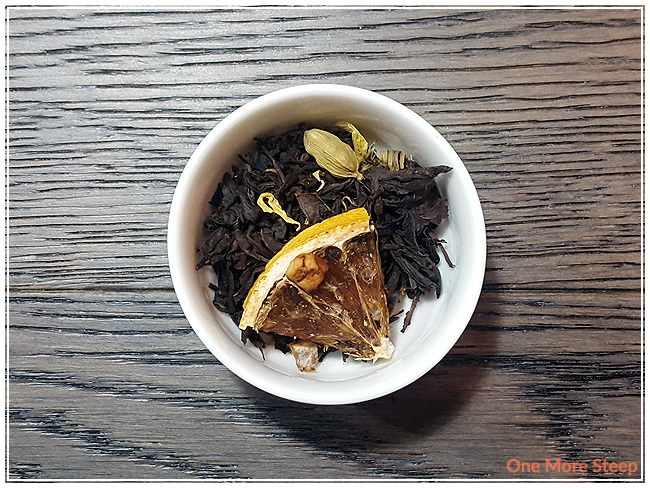 I really enjoyed the flavours of this tea – from the dry leaf to the steeped tea. I do agree with Fox Tea Club’s recommendation of steeping this tea twice. The orange flavour is enjoyable, but I didn’t really find that it reminded me of cookies. I think a touch of vanilla or a vanilla simple syrup would go a long way to making me think of cookies. Additionally, I luckily do not have any food allergies (that I’m aware of), so I don’t need to scour through ingredients lists constantly, but I do wish I knew what all the different ingredients present in this black tea blend are.